Pharmacy Technicians dispense prescription medications and perform other routine tasks under the supervision of licensed pharmacists. Their responsibilities depend on the specific setting and may include compounding of medications, developing and maintaining patient profiles, ordering and receiving stock, packaging and labeling bottles, using the pharmacy computerized system to update records, answering the phones, assisting customers, and referring patients to the pharmacists. Pharmacy technician programs help adults develop the skills that employers want in their pharmacy employees. Through theory and practical experiences in a community and hospital pharmacy, you’ll develop technical skills to function effectively in the pharmacy. You must have good organization skills, be attentive to details, understand basic math and science, and excellent communication skills. During the course, you’ll develop an appreciation for accuracy, which is essential for the prevention of medication errors and the ability to manage your workflow in a fast-paced environment. The knowledge components of the program will cover manufacturing and packaging of drugs along with the effects of common drugs on the human body. Pharmacy laws and guidelines include essential preparation for practice within the confines of the law. 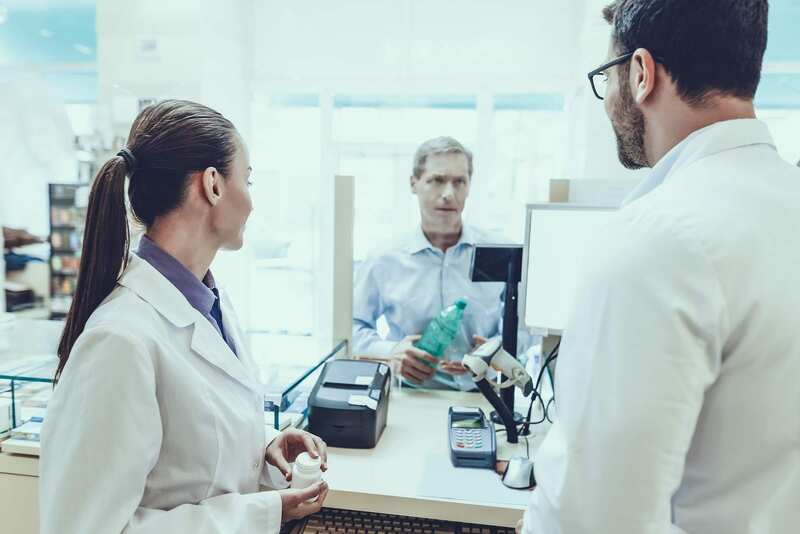 National certification through an organization such as the Pharmacy Technician Certification Board is not required by the New York State Board of Pharmacy. However, your search for employment will provide a convincing reason to pursue the certification. Certified Pharmacy Technicians gain personal and professional benefits, such as increased earning potential, better jobs, and opportunities for advancement. The D’Youville School of Pharmacy offers a pharmacy technician program that prepares students to take the PTCB exam. Classes meet two evenings a week for 8 weeks. Class times are Tuesdays and Thursdays from 6 pm to 9 pm. The curriculum includes theory and lab work. 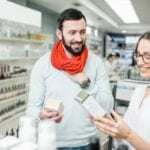 Course topics include institutional pharmacy operations, retail pharmacy operations, pharmacy terminology, pharmacology, customer service, patient profile, pharmacy laws, inventory management, receiving and preparing prescriptions, packaging and labeling medications, drugs and their effects, generic and brand name drugs, and dispensing medications. The cost of the program is $1,250 and includes books and supplies. The pharmacy technician program at Buffalo Center for Art and Technology prepares adults to fill the demand for health care professionals in Buffalo Niagara communities. The program is open to adults 21 years or older. It supports the development of technical skills that help them qualify for entry-level pharmacy technician positions. Taught by a state registered pharmacist and instructor, the program covers the operations of hospital and retail pharmacies. The modern classroom simulates the professional environment giving students the opportunity to practice the skills covered in the classroom. Course topics include dispensing medication, anatomy and physiology, pharmacology, pharmacy terminology, dosage calculations, patient profiles, generic and brand name drugs, packaging and labeling, management of inventory, customer service, and billing and insurance. The schedule is full-time only. Classes meet Monday through Friday for 35 weeks. In addition to the classroom sessions, students will participate in a 4 to 6 week internship at a clinical affiliate. The program admits new students once a year. The admission cycle begins in February. Classes begin in June or July depending on the qualification of applicants. Graduates will be prepared to sit for the Pharmacy Technician Certification Exam (PTCE) to become a Certified Pharmacy Technician. Every candidate selected or admission will receive a scholarship that will cover the cost of tuition and books. A limited number of students is selected for each cycle. Tuition is free for accepted applicants. The pharmacy technician program at Niagara County Community College prepares adults to dispense medications and perform other routine tasks under the supervision of a registered pharmacist. Students learn to compound medications, maintain inventory, develop and maintain patient profiles, prepare and label medicines, dispense medications to customers, review prescriptions for accuracy, and differentiate between generic and brand name drugs. They also learn aseptic techniques, the importance of cleanliness, and the prevention of medication errors. Graduates will be prepared to take the Pharmacy Technician Certification Board Exam. Classes meet Mondays and Wednesdays from 6:00 pm to 9:00 pm. Tuition costs $675. The course textbook is approximately $85. The Department of Workforce Development at Erie Community College facilitates a pharmacy technician program that prepares students for entry-level employment in a retail or hospital pharmacy. The syllabus covers 302 contact hours of theory and pharmacy internships at a local retail and hospital pharmacy. It also includes a TABE assessment test and preparation for the PTCB exam. The pharmacy technician internship requires 80 hours of practice in a real-world environment. Students will participate in hands-on lab experiences at the University of Buffalo where they will develop skills under the guidance of PharmD students. The duration of the program is 11 weeks. Classes meet Monday through Friday from 9:30 am to 4:30 pm. The program is funded through a Federal Health and Human Services grant administered by the Buffalo and Erie County Workforce Investment Board.